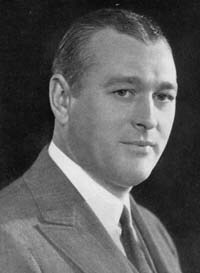 Ford Rush came back to WLS in 1934. He had the same friendly charm that listeners came to know that he had when he was one of the first artists in the station 10 years prior to that. Back then, usually appeared on the Sears program and often would do a program with Ralph Waldo Emerson, the WLS organist. They asked in the 1934 WLS Family Album, "How many of you remember "Lullaby Time" of nine or ten years ago?" Married, son named Ford, Jr.